Do you wake up in the middle of the night worrying about anything and everything? Do you get overwhelmingly anxious when faced with a work deadline or big social event? If so, you’re not alone – women are 60% more likely than men to suffer with anxiety and close to 20% of Americans deal with debilitating stress. Unfortunately the majority come to believe use of powerful pharmaceuticals, each with a set of side effects, is the only way forward. Thankfully, that’s not the whole truth – there are natural ways to alleviate stress. Why is this happening? Many of us do deal with extremely stressful times at some point in our lives (from what I call “external” stressors), but we should not be feeling stressed every day or even every week. When you start to feel like you’re constantly living on the edge regardless of your circumstances, it’s time to address your physical health (or “internal” stressors) in order to support your mental health. You should be feeling resilient, confident and strong rather than overwhelmed when faced with the challenges of the everyday. Bouncing blood sugar – when your blood sugar is soaring and crashing this is a perceived as a stressor by your adrenal glands, which produce cortisol. Erratic blood sugar can come from not eating enough; taking in too much sugar, alcohol and coffee; carbo-loading; and not getting adequate sleep. I have some advice on getting a good nights sleep and how to avoid the pitfalls of alcohol, coffee and sugar. Vitamin and mineral deficiencies – your intake of B vitamins, magnesium and omega 3 fatty acids is vital for maintaining the calm. These vitamins and minerals prevent the hyper-production of cortisol by your adrenals. Excess cortisol from stress depletes your body’s stores making it super important to get proper nourishment during difficult times. Read more on magnesium deficiency here. Poor gut health – very commonly used medications like birth control pills and antibiotics disrupt your gut microbiome (as well as make you deficient in B vitamins). Every week there’s more research on the gut-mental health connection. A set of gut bacteria, more specifically bacterial genes, called the estrobolome, produce an essential enzyme that helps metabolize estrogen. Your gut is part of the elimination system that is vital in ushering hormones out of the body. This process, when working efficiently, plays an essential role in maintaining hormonal balance. I have some tips on getting friendly with your good bacteria. Stress can have a powerful effect on our hormonal health and fertility. In fact, during periods of high anxiety your body is likely to stop you from ovulating. Biologically this comes down to the hormone progesterone being used to produce cortisol when you’re stressing out instead of going towards the hormonal harmony you need to be fertile. Evolutionarily – your body “knows” when you’re anxious and can decide that would be a bad time to make a baby. Even low level constant feelings of anxiety can potentially throw off your hormonal balance. The first sign this is happening to you can be in changes to your period – especially missing periods or really long cycles. 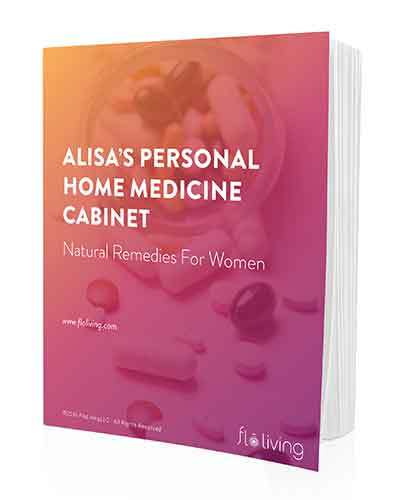 Many of us feel uncomfortable with being over-reliant on pharmaceuticals like anti-anxiety medications to get through periods of stress and often these drugs come with unwanted side effects that decrease our quality of life in other ways. It’s my view that it’s better to take the approach of preventing chronic stress long term, than spot treating with pills. Eat a good breakfast – a nutritious and filling breakfast will set you up for a day of stable blood sugar and balanced hormones. It should also be bringing in all those essential de-stressing vitamins and minerals like magnesium and all the Bs. I have a whole lot of great (and easy) ideas for breakfast for you right here. If you can make a natural probiotic like sauerkraut or kimchi part of your first meal of the day, even better, as that will help heal your gut health. Use coconut oil along the way to boost your body’s intake of good fats. Sleep well – I know you might be thinking, easier said than done! I get it – I also used to find it hard to get to sleep before 2am and could barely drag myself out of bed in the morning. These days, I don’t even need an alarm to wake up, because I have fixed my cortisol levels. Having a consistent sleeping pattern as a starting point is so important in combating chronic stress. Treat yourself like a baby – have a bedtime routine. Regardless of how or why you can’t get a good night’s sleep – I have suggestions for supplements and a meal plan designed for making Zzzzs. Make time for pleasure – whether this means self-pleasure or spa treatments to you, do what makes you feel good at least once a week. I have some tips for better orgasms and hormone-safe spa treatments including the best recipe for a long, indulgent bath for a relaxing night in. Start scheduling times for self-care into your working week as though it were a meeting or gym session and don’t flake on feeling good. You’ll reduce excess cortisol hormone this way and see the benefits fast. The more stress you are faced with externally, the more you need to meet those challenges with extreme self-care tactics liking preparing nutritious meals, insisting on a full 8 hours sleep, and keeping appointments you’ve made to take a yoga class, take a bath or have a romantic evening with your partner, just as often as all your other scheduled duties. See yourself as an Olympic athlete in your field – you need to train and prepare to perform at your best. Every day is the Olympic event and with these strategies you’ll be ready for whatever comes your way. 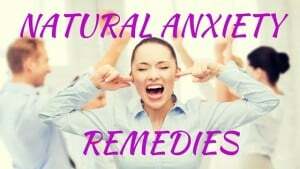 First, do you suffer with anxiety? Second, what’s your favorite way to relax? I love relaxing with chick flicks (especially going to the theater alone – it’s so luxurious!) I adore baths too and love the epsom salt/essential oil idea! These posts and your book have been so incredibly helpful. THANK YOU SO MUCH FOR ALL THAT YOU DO, ALISA- I’ve struggled with infertility and extreme stress (due to my career and financial worries) for the last few years. I am still hoping to get pregnant soon, and am just starting to live in my FLO but am loving the mindset and toolkit already and can already feel a change. Thank you !!! Hi there. Thanks for the tips. I do deal with stress and anxiety, some of it life oriented, job issues, marriage issues etcetera. I also have a low level sense of things not being ok that eats at me. I notice when I am really stressed I want to eat more sweets, which In turn leads to more stress! Any tips on how to stop that cycle? I feel trapped in my own behavior. Thanks for sharing this! I am a transformational life coach who gives young women hope to release anxiety and depression naturally. I focus on nutrition, exercise, and specific techniques for letting go, relaxing and moving forward. My background is in psychology, human development and nutrition so I’ve learned to tie it all together and I am so passionate about it. However, I began my own hormone journey this year after getting off of birth control 2 years ago. I am realizing I need to incorporate it into my work as well since it is key to our emotional behavior and thoughts. Thanks for sharing all of this. I have already shared some of the information with a few clients who are struggling with period and fertility concerns. It was funny because your information keeps showing up in various aspects of my life. A friend referred me, I saw it online myself and then I heard you on Jess Lively’s podcast! I had a call with Christina also, which was very helpful and I feel I am on the right track to getting pregnant. I’d love the opportunity to talk further about how all of this work can combine to benefit women’s lives. xoxo. Thank you for this article! Lots of helpful tips. I used to suffer from anxiety (had medication but it really didn’t help). I got rid of my anxiety and panic attacks naturally, mainly with diet. I haven’t had a single panic attack for several years now. I love to relax listening good, energetic (!) music. Music affects like a drug, but without making you drowsy or causing any side effects! I also used to meditate and I definitely should do it more often. I will definitely share this article on my FB page and Pinterest! Hi there, I was wondering what diet changes you made to get rid of anxiety and panic attacks? Any help would be lovely! Thank you!